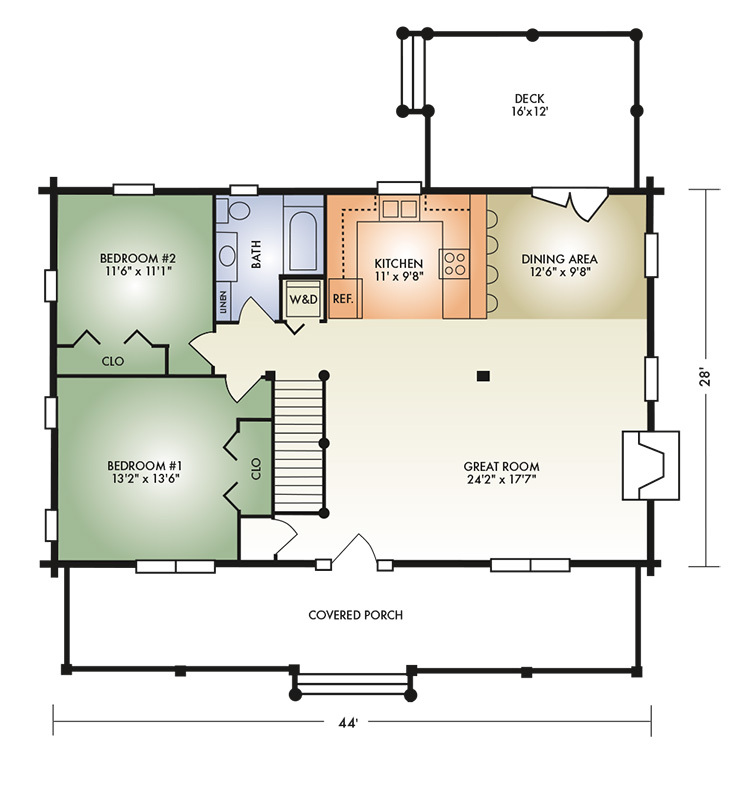 The Honey Creek is a practical plan designed for those who desire a smaller, two bedroom home with the convenience of a single floor. Like the McKay, this plan features the popular open-concept great room with exposed timbered ceiling and fireplace, but instead of a master bedroom and master bath, this has two large bedrooms. The kitchen has a convenient raised bar and the dining area has French doors leading out to an open rear deck. Outside, a full-length covered front porch offers a relaxing area for both family and friends. 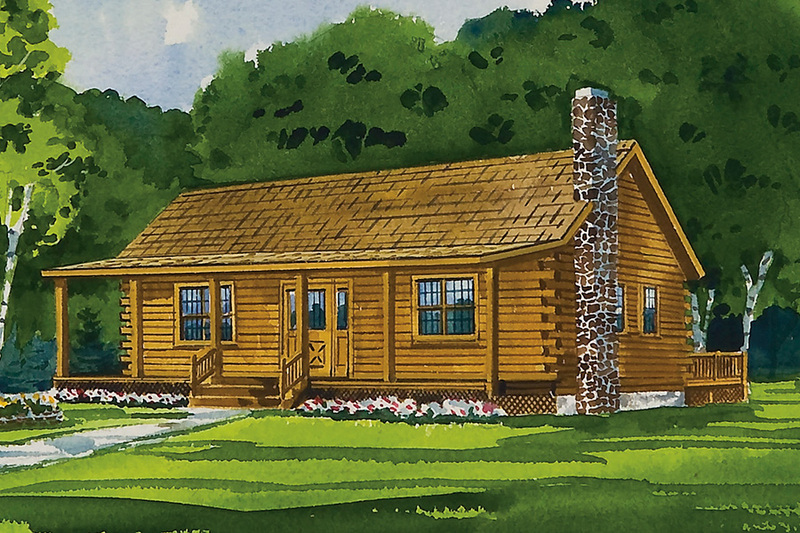 So, whether this is your dream home or weekend getaway, you'll love the warm, cozy ambience of this charming ranch.